Raising kids is tough. As a stepparent who isn’t their ‘real mom or dad’ and, by the way you can expect to hear that at least once, things can be even more complicated. Here are a few tips though that may help you find your way. Hopefully somewhere along the dating path you’ve had conversations with your spouse about the way they parent, what they consider acceptable, what their rules for behavior are, or perhaps you’ve just seen it in action. Regardless, now that the relationship is permanent and defined in more of a parental way, you should be having a conversation that involves both your spouse and their ex to be sure everyone is on the same page. Because in theory you will be spending time with your stepchild alone or as part of a parenting team, as a stepparent you want to be sure you aren’t the pushover they get away with things with, and you want to be sure that whatever the family line is with respect to key issues, you’re part of that team. Although, as mentioned before, you’re likely to be reminded that you aren’t their real parent, it is important to keep this in mind yourself so you don’t overstep. No matter how much you care for this child, or children, they do have a mother or father with whom they will celebrate those special parent and child days, who they will want to take to parent/ child days at school, and who they will want to share special moments or difficult talks with before you. While your relationship will hopefully develop its own special bond with time, it’s important to remember this, both so you, as the stepparent, aren’t offended when those moments arise, and so you don’t put the child in a difficult situation. Maybe this doesn’t need to be said but I will anyway, don’t be the one to talk poorly about their other parent. Regardless of what your spouse does – and really, they shouldn’t be trash talking another parent either – understand that they may be forgiven for any indiscretion when it comes to this but you won’t be. Just because in your mind you’re now officially a stepparent, that doesn’t mean the child is ready automatically to accept you in that role. Rather than coming on strong and forcing what you think the relationship should be, or what your role should be, let things evolve slowly into whatever is meant to be. And if it takes time, or things don’t seem to be going as you’d hoped, don’t take it personally. Every new relationship takes time and every relationship is different from the next. Your relationship will come and it will be what you both make it to be. It may not be easy – at least at first – but remember that your stepchild will have moments they want to share with both parents. Maybe that means letting your spouse feel free to go off and spend time with their ex and the child, or maybe it means hosting birthday or Christmas celebrations that everyone is invited to. Either way, your stepchild has two parents and, by whatever means works, there must be times they can both come together as a family, hopefully with you, but also without you if need be. 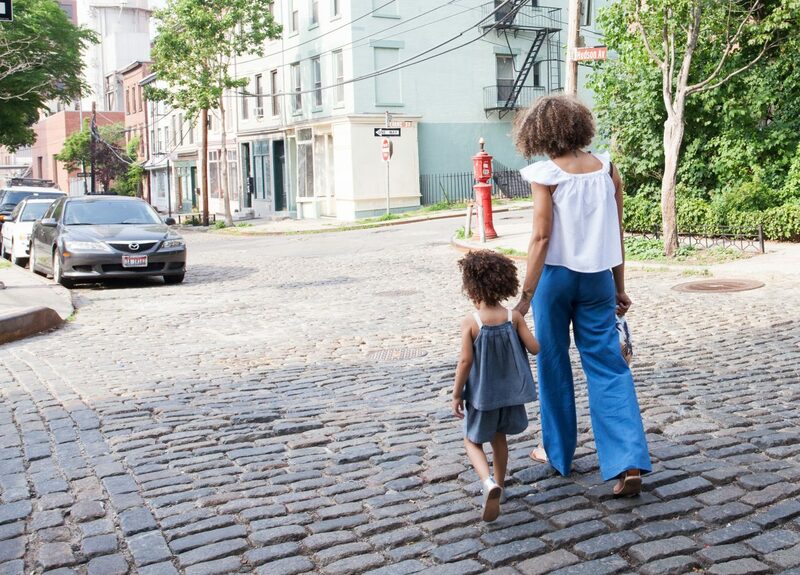 Even though you aren’t their ‘real mom or dad’ that doesn’t mean you can’t connect with your stepchild. Whether it is a common interest, taking time to be the one to drive them to soccer or dance, meal preparation done together or story time, find ways to interact and connect with your stepchild so that you too can be part of their family circle. Parenting is tough. Learning to be a stepparent can be even tougher. Take your time, be open to the relationship defining itself, rather than you setting up expectations for what it will be, love the child and it will all work out in the end.